Make your sword collection the star of your decor when you display it using the Triple Sword Wall Rack. 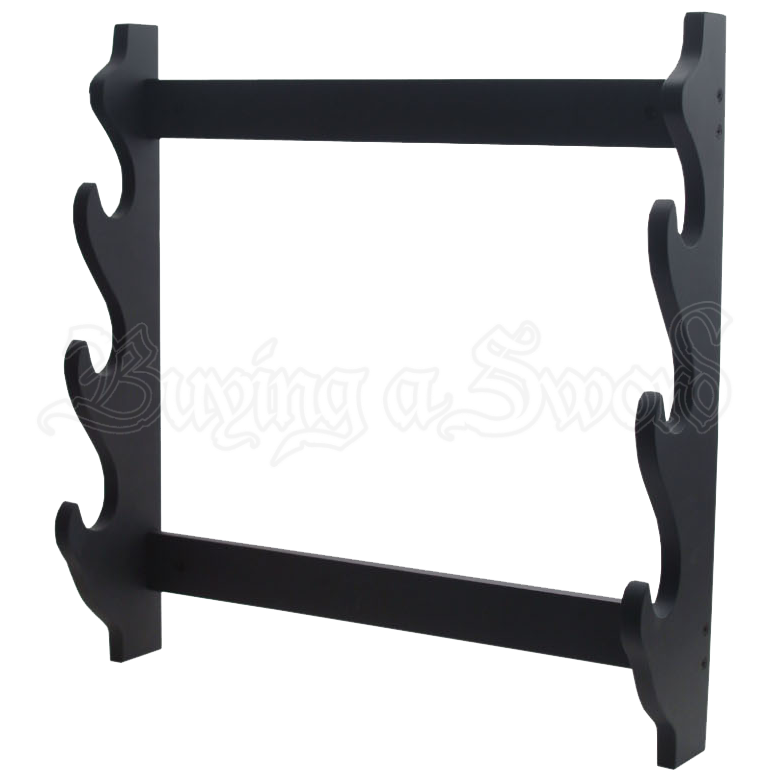 This wooden sword holder is painted black for a sleek look and can hold up to three different weapons in its curved hooks. The black sword stand works well for all kinds of bladed weapons, from katanas to medieval knight swords and more. It affixes to the wall, keeping your shelf and table space free. When you want your swords to be set neatly and stand out in your decor, show them off using this wooden sword wall display.